The answer to the lack of GPU's on the market? 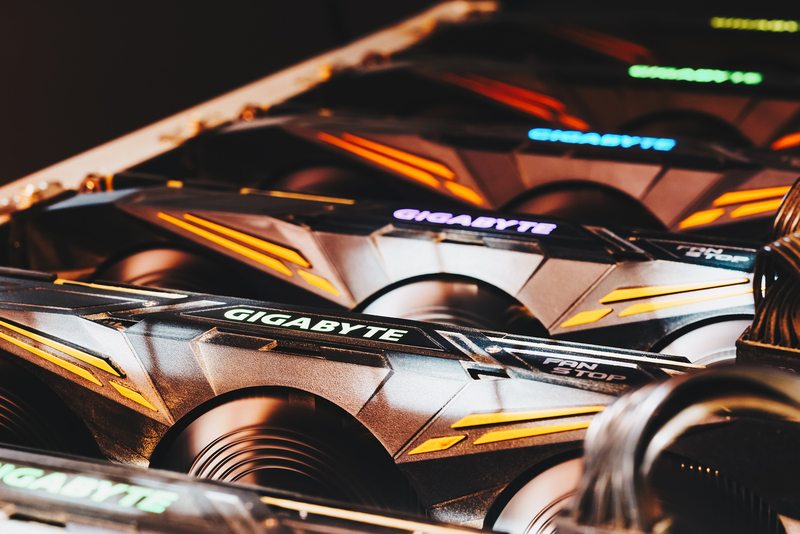 In this article, we will discuss the cryptocurrency mining industry and the frustration it causes for gamers around the world, as well as how the top two GPU companies Nvidia and AMD are handling the issue. Cryptocurrency mining has left the video gaming industry without the tools of its trade. 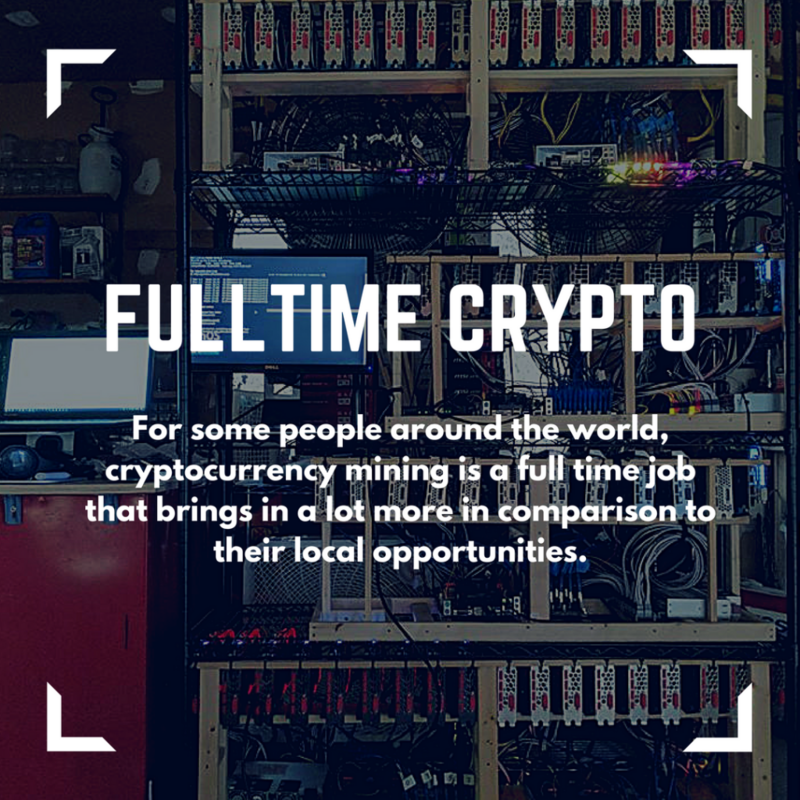 Ethereum, Monero, ZCash as well as many other cryptocurrencies are regularly mined using GPU’s with a profit, a profit that is often reinvested into buying more graphics cards. Crypto miners usually share social media posts where they showcase their mining rigs, and sometimes they garner a lot of attention. 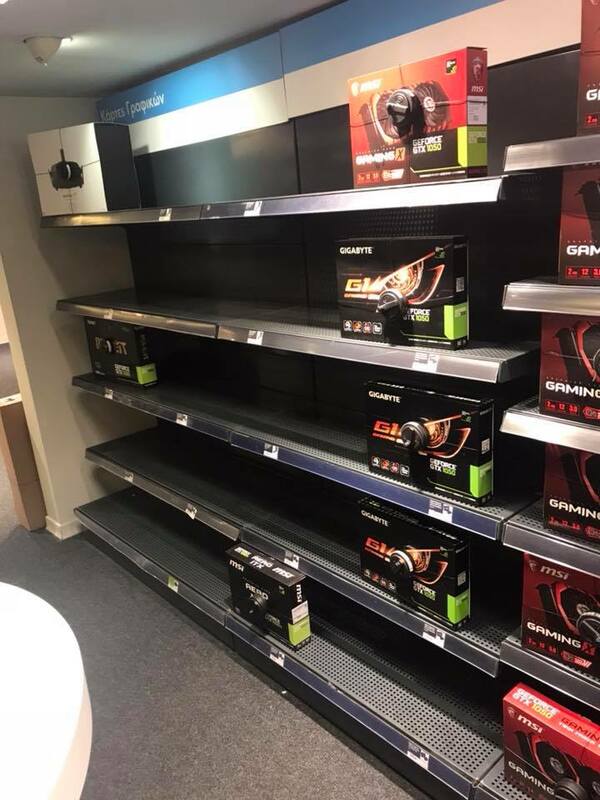 Not all of it is good though, as gamers are resorting to sending messages containing death wishes, anger venting, and generally blaming miners for being unable to buy the latest GPU on the market. A possible solution to the lack of GPUs is an emerging new technology called cloud gaming. Nvidia is having a beta launch at the time of writing, and they are hopefully developing a product that will solve the ailments of many gamers that are not able to purchase the latest GPU. The technology enables any internet connected computer to be transformed into a powerful gaming juggernaut by delegating the graphical processing to Nvidia’s servers and GPUs. 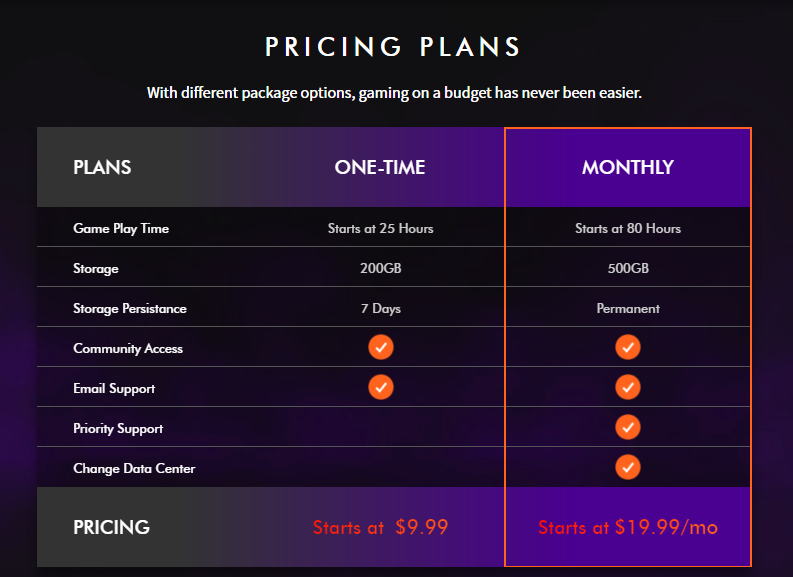 With a price of only $19.99 per month, it seems like Liquid Sky is a very economical solution for most gamers, as long as they have the internet connection to fully utilize this service. Nvidia is not the only one that is hard at work to create the next most popular cloud gaming platform. AMD is a direct competitor to Nvidia, and at this point, it’s really uncertain as to who is following whom. Since Nvidia was the leader in sales before the mining fiasco, I believe that they have started first, but AMD beat them to the punch by releasing their platform ahead of them. 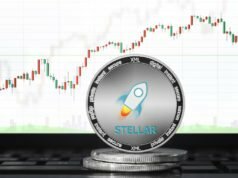 Cryptocurrency mining has created an immense number of sales for both companies (as they are both sold out most of the time), and therefore it is difficult to evaluate which company is the leader in the market right now. But considering that AMD has a readymade solution for gamers, I strongly feel that they’ve taken the lead on cloud gaming. But, one long-form review suggests that not everything is ideal with LiquidSky, and that stuttering and image tearing are a normal part of the cloud gaming experience, so Nvidia may have an opportunity to outperform AMD. Both companies have given some sort of comment to the entire situation. Nvidia talked about being loyal to the gaming community and potentially asking retailers to limit GPUs to two per household. AMD also expressed gamer priority in a comment for CNBC’s article that covered the cryptocurrency and GPU famine situation. While both of these companies are saying, “We have a stake in video games, and it has been our bread and butter for so much longer before mining was even a thing, and we will respect gamers, and continue to work as a gamer-first company.”, and all of this is just a tactical public relations move that saves them face against the gamer consumer base. Miners have outperformed gamers in both purchasing ability and actual sale numbers, so it is difficult to imagine that these companies are not happy about the results, especially when their products are being valued at a higher price by both retailers and end consumers. Prices of GPU’s have doubled in the past year, and are currently available for at least twice as much as you could have gotten them halfway through last year. 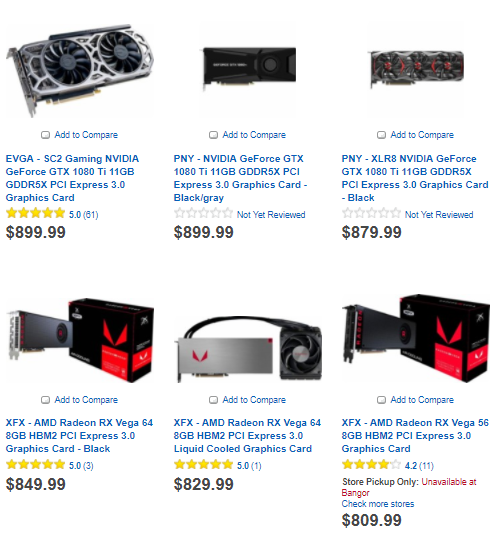 BestBuy prices and GPU availability as of 27th January 2018, list prices high to low. Companies like Nvidia and AMD that used to cater only to the gaming community have a new stakeholder to consider selling to and potentially creating new products for, i.e. the cryptocurrency miner. The fact that GPU’s are hard to find only opens up new opportunities for these companies to provide a different type of solution to gamers facing the problem of not being able to buy the latest GPU. Cloud gaming is a viable option for gamers, and these companies can make sure to remain gamer-first by getting gamers to sign up for their platforms at a competitive price. 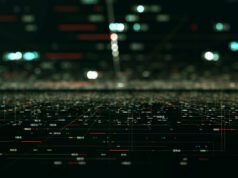 Both AMD and Nvidia have started to work on creating these solutions, and I personally think that this is a product of a distributed future. There is potential for a blockchain solution (if AMD or Nvidia are willing to develop it), where miners can create a decentralized network that enables gamers to play with just a high-speed internet connection and a subscription. 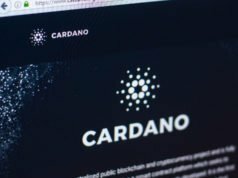 Previous articleFirst Trustworthy Review Platform, Built With Blockchain Technology.